Wendy Liebowitz, VP and Branch Manager for Fidelity Investments (left) and Helena Caplan, Board member of The Opera Society. The Lyrical Luncheon was attended by the most enthusiastic supporters of The Opera Society and Florida Grand Opera. The preview of La boheme was presented by Justin Moss, our resident aficionado of all things opera. He introduced our talented Studio Artists to perform enchanting arias and duets from the opera. All were inspired to attend the two upcoming performances in Broward County. 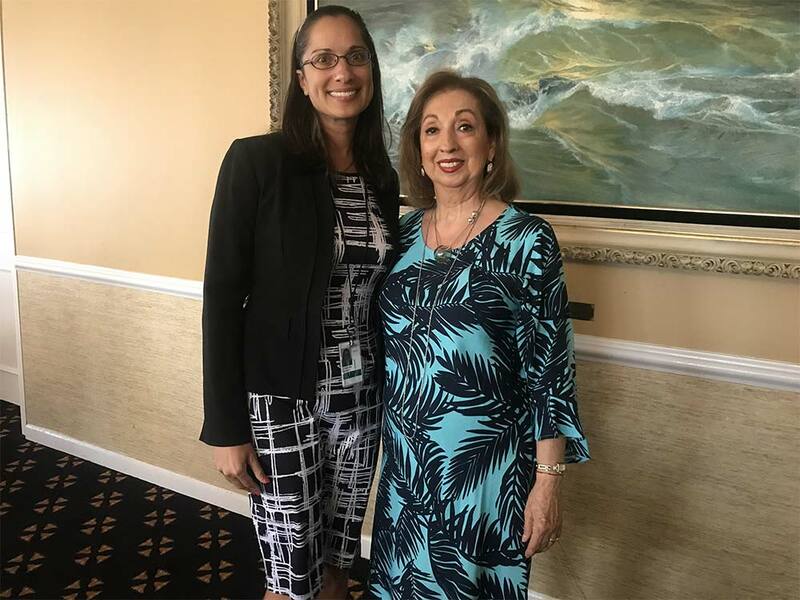 Pictured here is our sponsor of the Lyrical Luncheons, Wendy Liebowitz, VP and Branch Manager for Fidelity Investments and Helena Caplan, Board member of The Opera Society.